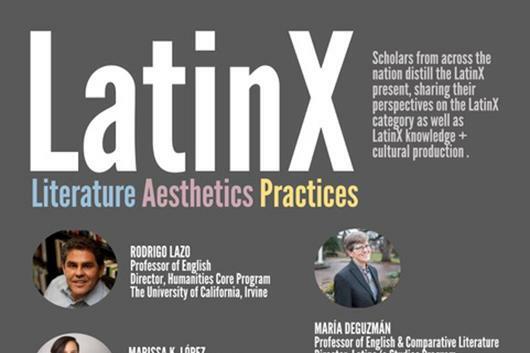 Scholars from across the nation distill the LatinX present, sharing their perspectives on the LatinX category as well as LatinX knowledge and cultural production. Participants will include Rodrigo Lazo (UC-Irvine), Marissa K. López (UCLA), Maria Windell (U. Colorado-Boulder), María DeGuzmán (UNC-Chapel Hill), and R. Galvan (Duke). This conversation builds on the particpants' contributions to two recent publications exploring LatinX cultural and intellectual thought: the special issues of English Language Notes (ELN) on 'LatinX Lives in Hemispheric Context', and Cultural Dynamics, on 'Theorizing LatinX'.